Schools also completed online growing diaries, with students charting their seeds’ progress. Schools could read each others’ diaries online, developing a Sow & Grow community among participating schools. Based on their diary entries each week, one lucky school who impressed the most was chosen as the ‘Grower of the Week’ and won a pack of innocent smoothies. Then, from this shortlist, one overall winner was awarded at the end of the term. The winning class: Mrs. Wright’s Class from Horsenden Primary School grew their cress to impress, winning their school new gardening supplies and a visit from the grassy green innocent van. Horsenden Primary School were the lucky overall winners, winning their school new gardening supplies, a new wheelbarrow and a visit from the team at innocent. Horseden PS had had a vegetable garden previously, but no longer had the funding to support it. 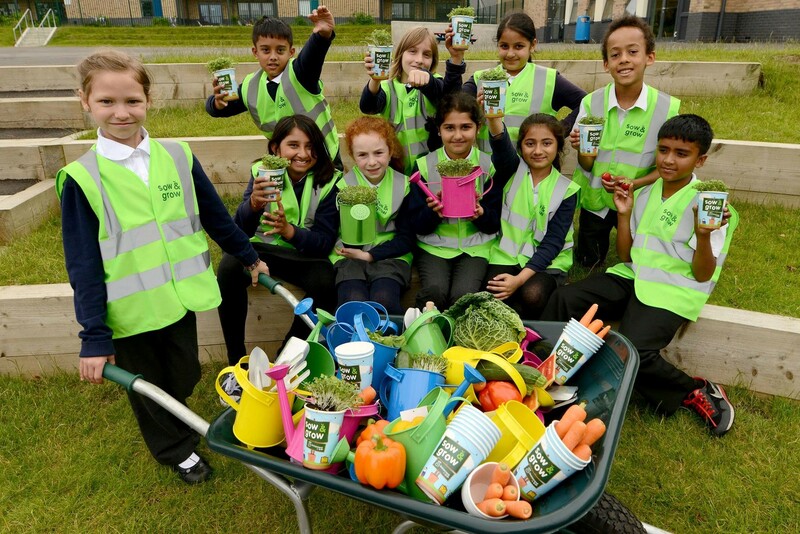 Thanks to the free Sow & Grow packs, and the grand prize, they’ve been able to reopen their gardening club – much to the joy of the students and teachers alike.